The only practice in Raleigh offering Identafi® and one of only 6 in the state of North Carolina. Call 919-985-7300 to schedule an appointment today. Complimentary scan with New Patient Exam. Only practice in Raleigh with this state of the art technology. Complimentary first visit screening to prove we value your health. .
Get an oral cancer screening every year. One person dies every hour of oral cancer! Deadly – and strangely silent in our society – Oral Cancer is growing at an alarming rate – over 11% in 2007 in the United States alone. More people are being diagnosed with oral cancer than ever before. But surprisingly, research shows this increase is not due to the traditional risk factors of drinking, smoking and using chewing tobacco. Rather oral cancer is now being found in a younger population of men and women because due to their exposure to the HPV (Human Papillomavirus). One reason for this increase in people under age 40 is due to exposure to the HPV-16 and HPV-18 viruses, known collectively as the human papillomavirus. The HPV virus can spread by intimate contact, including kissing. That is why the Centers for Disease Control recommends that all patients over the age of 17 be screened annually for oral cancer. In its earliest stages, most oral cancer is virtually undetectable by just looking. And when oral cancer begins, it may not always produce pain or discomfort. In other words, it is possible to have oral cancer or pre-cancer without even knowing it. That is why it is important for everyone to be screened for oral cancer at least once per year. However, if you notice a change in your mouth or throat, such as a sore, or red or white spot that lasts longer than 2 weeks, you should contact us immediately. Screen with certainty. Detect with confidence. Mouth cancer symptoms are often missed by the naked eye, especially in its early stages. The Identafi® uses a revolutionary light-wave technology that can help clinicians detect abnormalities that may lead to oral cancer, so that something can be done about it as soon as possible. Early detection means early mouth cancer treatment, and a cure rate of nearly 90%. Our dentists are on the front line of detection with a revolutionary new medical device called Identafi® that uses multi-spectraltechnology to identify biochemical and morphological changes in the cells of your mouth, throat, tongue and tonsils. These changes are subtle, as they happen at the cellular level, and therefore often go undetected by the naked eye. These changes are made visible through the use of Identafi®’s unique three-wavelength technology, which illuminates possible areas of change that may signal the occurrence or early beginnings of oral cancer. The test is simple, painless, and takes less than 3 minutes. Identafi® with its Identafi® technology allows those on the front line of detection to do just that – identify biochemical and morphological changes in cells of the mouth, throat, tongue and tonsils. You should also consider an oral cancer screening if you are showing any throat cancer symptoms. Using the Identafi® in the “White Light” mode, we will first examine your entire oral cavity. The upper portion of the mouth and inner contour of the teeth are examined first, followed by the lower portion of the mouth. The tongue, hard and soft palate, and the pharynx are then examined. Next, the instrument is switched to the patented 405-nanometer “Fluorescent Violet Light” to identify any areas of abnormal tissue growth, which may be benign or cancerous. Finally, the instrument is switched to “Green-Amber Reflectance Light” to examine the blood vessels around the lesions. Areas with increased diffuse vasculature are more likely to be cancerous. 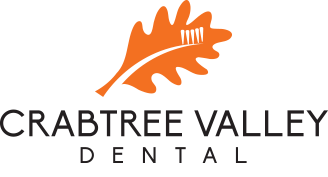 Crabtree Valley Dental is the only practice in the Raleigh/Durham are that offers Identafi® oral cancer screening. The detection is made through the processing of optical fluorescence and reflectance in certain body tissues. The Identafi® core technologies are based on high-speed, high-resolution capabilities from its patented optical processing technology and include the ability to identify metabolic and physiologic differences in diseased and healthy tissue in the human body. This proprietary technology allows us to screen and diagnose cancers and pre-cancers. Call us now to schedule your oral cancer screening.